We do contract manufacturing for Tramadol Injection. The Tramadol Injection is formulated for long lasting, effective and reliable relief in severe pain. It is recommended by several physicians to be administered when severe pain breaks down the body. 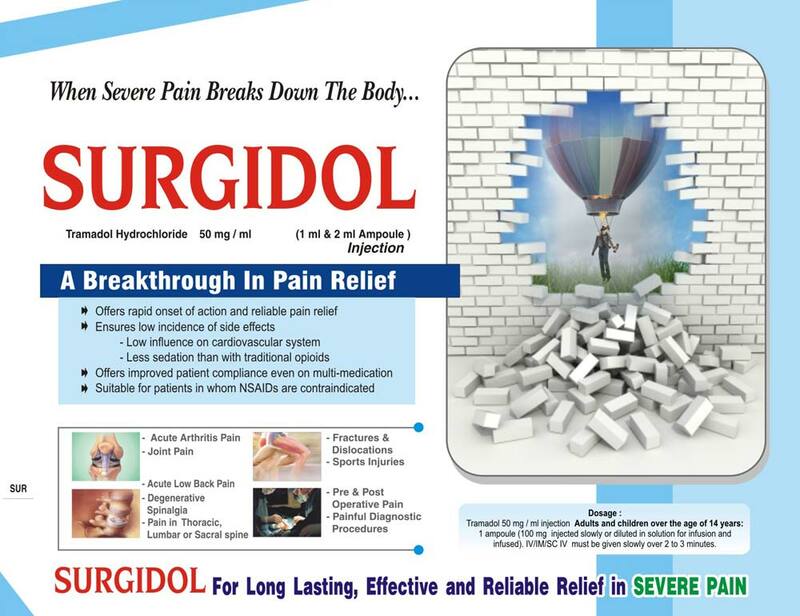 The Tramadol Tramadol Hydrochloride 50 mg/ml is a breakthrough formulation in pain relief. The (1 ml & 2 ml ampoule) Injection can be acquired in bulk from us. Dosage : Tramadol 50 mg / ml injection adults and children over the age of 14 years : 1 ampoule (100 mg injected slwly or diluted in solution for infusion and infused). IV/IM/SC IV must be given slowly over 2 to 3 minutes.